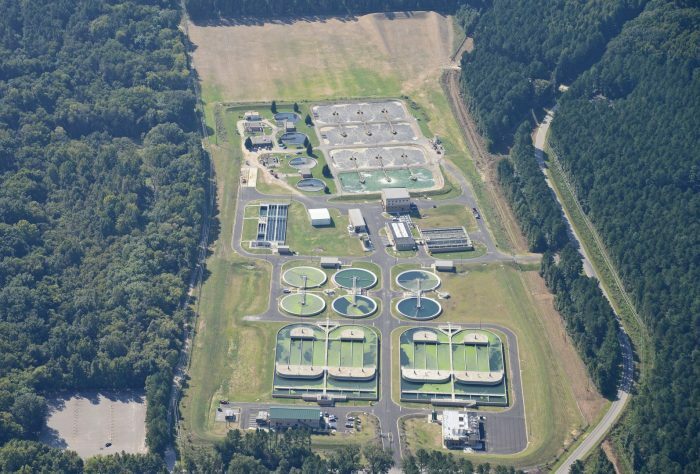 Cayce Wastewater Treatment Plant (WWTP) Upgrade/Expansion | Wharton Smith, Inc.
Project Size: 25 MGD / 8,000 s.f. Wharton-Smith served as the general contractor for the new $54 million Cayce Wastewater Treatment Plant (WWTP) , a state-of-the-art plant serving the City of Cayce, Town of Lexington, and nearby areas in Lexington County. Upgrades to the plant had been in the works for more than 10 years and included expanding the plant’s wastewater capacity from 8 MGD to 25 MGD, enough to serve the region for the next 30 years. The upgrades also incorporate state-of-the-art technology that will monitor the plant continuously and make it much easier for the plant operators to make necessary adjustments to the treatment process. Upgrades to the existing plant included structures, equipment, site work, yard piping, valves and mechanical piping, electrical and appurtenances. New construction consisted of a pretreatment structure including screening and grit system, sludge dewatering facility with centrifuge system, biological treatment basins, clarifiers, RAS pump station, chlorination and de-chlorination facilities, chemical feed facilities, control lab building, and SCADA system and instrumentation.